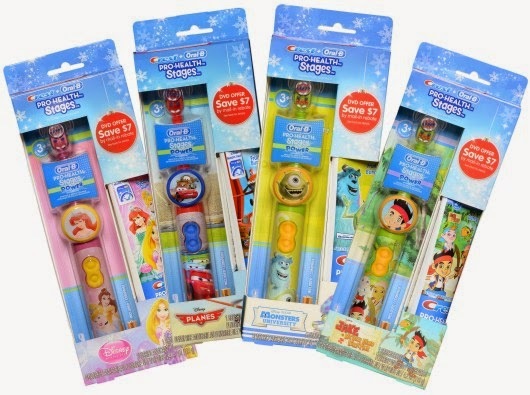 Stacy Tilton Reviews: Disney Toothbrushes and Toothpaste - Keeping smiles clean! Disney Toothbrushes and Toothpaste - Keeping smiles clean! With characters from popular Disney movies and shows, like Lightning McQueen, Monsters Inc., Jake & the Neverland Pirates, and Disney Princesses, your little ones will love brushing! I don't know about you, but it seems like ever since Halloween all I find my kids wanting to snack on is sweets. I can't wait to get all this sugar out of my house! If your home is still filled with an excess of Halloween candy (or now Thanksgiving treats), here are a few tips from the ToothFairy to keep you and your family from overindulging in sugary treats! Set up a candy bank where your kids can make limited withdrawals from their stash. Besides donating candy, you can also help out others in need by donating things like toothbrushes and toothpaste. These are both great stocking stuffer ideas that many shelters would be happy to have and share with those that could put them to good use. I gave a full set of the toothbrush sets above I received to a family with four kids I knew would be grateful for them. America’s ToothFairy hosts a Smile Drive in February where they collect toothbrushes and toothpaste for families in need too. Do you find yourself reminding your kids how long they need to brush? Well if you don't have the benefit of a timed battery operated toothbrush you might want to check out this awesome Disney Magic Timer App. 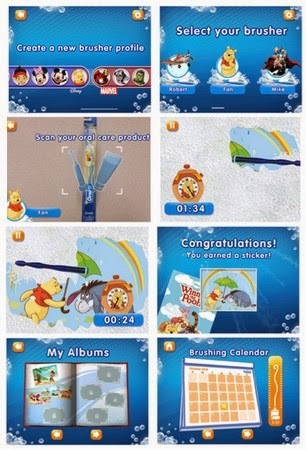 Kids brush 100% longer with the Disney Magic Timer by Oral-B! Bring more fun to your daily brushing routine with Disney Magic Timer by Oral-B, powered by DreamPlay! Featuring sixteen of your favorite Disney and Marvel characters, use this app to seamlessly encourage your kids to brush longer. 3.Reveal more fun and let the brushing begin! Buy it: You can purchase Crest® + Oral-B® Pro-Health Stages™ Disney Battery Toothbrushes and Toothpaste at Walmart. Make sure you also register for the America's ToothFairy Kids Club, and check out the info and tips from America's ToothFairy!